McCall had been a player of some distinction with Ayr United, St Johnstone, Huddersfield Town, Nottingham Forest and Dundee before taking on a coaching role at Dens Park. 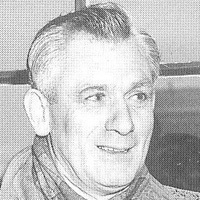 When Tommy Gray resigned in October 1958, McCall became the forth United manager in four years, but United's poor form continued under the new manager. The team dropped to third bottom in Division Two after several heavy defeats, and McCall resigned at the end of the season after only six months in charge.